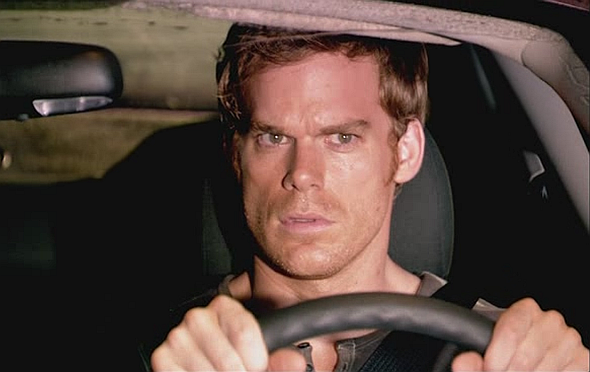 Dexter Daily: Dexter Season 7 - Driving Shots This Week In Miami! Dexter Season 7 - Driving Shots This Week In Miami! Via: olv.com: This week there were permits issued for Dexter Season 7 filming in Miami. According to the permits they will be filming driving scenes “citywide, Miami Beach, Rickenbacker Causeway, and unincorporated Miami-Dade County”. Most of the show is filmed in Long Beach, CA, so the Miami scenes might just be a second unit, and though filming hasn’t started in California yet, it should only be a matter of days before filming is in full swing there as well. If you spot Dexter filming in Miami this week, or in California next month, send us photos or info at dexternewsblog@gmail.com! This has been my #1 wish! A bit of film in Miami! Doubt any actual scenes will take place in Florida, but, hey, it's a start. They should really try to make the show seem more Miami and less Miami but really California. Surely, Man! If shooting actually take place in Florida, I am definitely going to take the snaps. Michael is one of my favorite actors. Doubt if everybody would be allowed for a snap!! I don't care where it's filmed as long as the show keeps going! I love this show!!!! There's always scenes in between actual "acting" scenes you see of actual Miami, which is my hometown.